As our Recruitment Administrator, Nina's job is to make sure the employer and candidates journey through the recruitment process is as easy as possible. Nina works closely with Sanjay and employers to match the right candidates to awesome apprenticeship opportunities. This involves pre-screening candidates, organising interviews, formatting job descriptions and CVs, running assessment days and keeping employers and candidates up-to-date throughout the recruitment process. Nina is also the person behind our social media platforms – keeping them updated with news and inspirational quotes. Nina is available to attend student events including careers days. 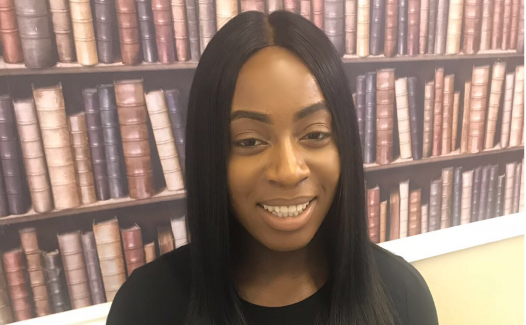 She regularly features as a panellist promoting Apprenticeships and has a passion for providing young people with the information advice and guidance they need to succeed in their careers. Nina started her career as an Apprentice. Having completed her Level 2 in Business Administration she is now moving up the ranks studying a Level 3 in Business Administration so understands exactly what it takes to develop your career through apprenticeships. DiVA Fact: Nina won a competition at school for being the fastest talker.